For this review, I cheated. I didn’t actually play LEGO Batman on the Mac all the way through. But before you form a mob to throw Apples at me in the nearest Apple Orchard, know that I have actually played this game to 100% completion. A contradiction? Not at all. My family has been playing Lego Batman for months on the Playstation 3. In fact, this is the first video game in years that my wife actually plays when I’m not even in the room. That in itself is a super-rare occasion. 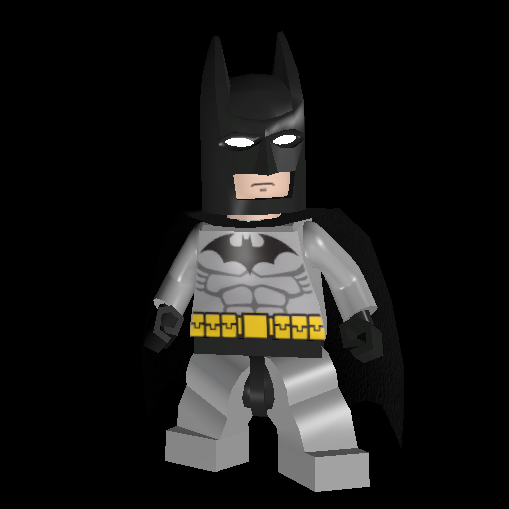 But that should also tell you something about both the quality of LEGO Batman and its fun factor. So you see, I didn’t actually have to play the entire game on the Mac. I just needed to play enough of it to know it is of the same quality, stability, and as much fun as the console version. And, thankfully, it is. What? BatGirl and the Riddler on a mission together? Nahh! It’s “free play” mode. Feral has done a remarkable job of porting this game to the Macintosh platform. They did the same a year ago with LEGO Indiana Jones, another LEGO game I have played on both the Mac and the Xbox 360. And while some really like the Indy game, I found it a little boring for my taste. They also did the LEGO Star Wars game, which I have not played on the Mac, but really enjoy on the PS3. I mention all the above to give you an idea of how well-done the LEGO Batman game is, and that the company behind it has a lot of experience in working on these games. Trust me, it shows. The Penguin is thinking about attacking the pedestrian, while the Joker thinks of something funny to do. LEGO Batman takes a light-hearted view of Gotham City. In it, you start off playing Batman and Robin, and your job sounds simple: take down the bad guys! But once you get far enough in the game, you are able to play as the bad guys, so you get to see the planning the bad guys went through to set up their diabolical schemes. There is no dialog in the game at all. Characters communicate via gestures and facial expressions. This is done very well, and humor abounds in the antics of the various bad guys and Robin. (Batman, of course, is never funny. Hey, he IS the Dark Knight!) While the action can be fast and furious at times, everything is done in a fun, family setting. Sure, you beat-up bad guys, and bad guys beat up cops, but it is never over-the-top violence I know so many parents worry about when buying their children video games. My five-year-old daughter plays LEGO Batman, and loves it. Now, with LEGO Batman on the Mac, she can play it without monopolizing the television! When I first started playing, I did have a crashing problem. However, thanks to the advice of the very helpful and attentive people at Feral, the problem was tracked to a bad install, which was easily remedied. Once that was out of the way, and having played the Mac version for four hours (with my daughter also logging in an additional two hours) I can say in all honesty that this game is fantastic on the Macintosh. Free Play character choice screen! Back to the game. Both the Hero and Villains get three different stories, or campaigns, and in each campaign there are six levels. That’s 36 levels altogether, and while that alone may not sound like very much, it is a ton. And here’s why. The key to what make LEGO Batman a success, and why my wife is still hooked on the game even after playing it for months, is the collectables. On each level, there are ten hidden “Mini Kits” that you need to find. 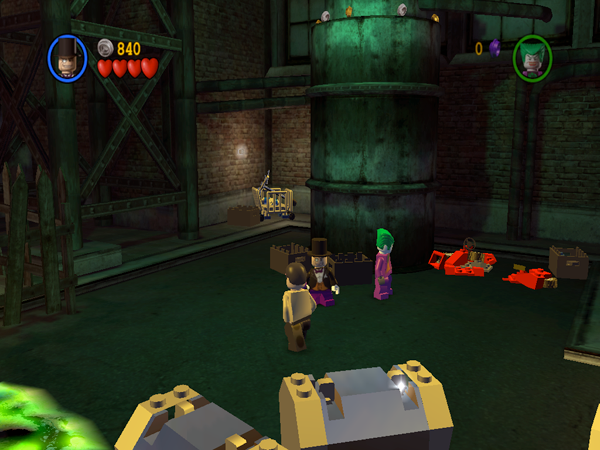 Also, even more hidden, are special “Red Bricks” that unlock special abilities that you can buy between levels. It is finding and unlocking items that has my wife so enamored with the game. She will spend an hour or more simply trying to figure out how to reach a Mini Kit or a Red Brick using various characters. And trust me, it’s not always easy or simple. To reach many of these items, you have to figure out how to solve a puzzle. It may sound daunting, and it is, but that is also the hook to the game which will keep you coming back time and again to revisit older levels. 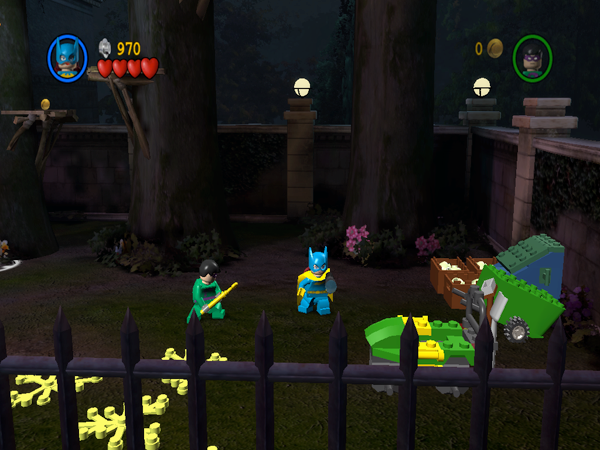 A lot of the environment of LEGO Batman is breakable, which is a good thing. When you break stuff, such as a street light, plants, park benches, etc., those items drop coin-shaped lego pieces. These coins are the currency of the game, and you collect them so that you can purchase upgrades and items that you have unlocked during game play. For instance, one upgrade allows you to build items in the levels at two or three times normal speed. (A must-have, my wife tells me, and I agree.) You can also purchase different characters, different vehicles, and the like. Thus, the “collecting” aspect of the game. Getting ready to play a mission. 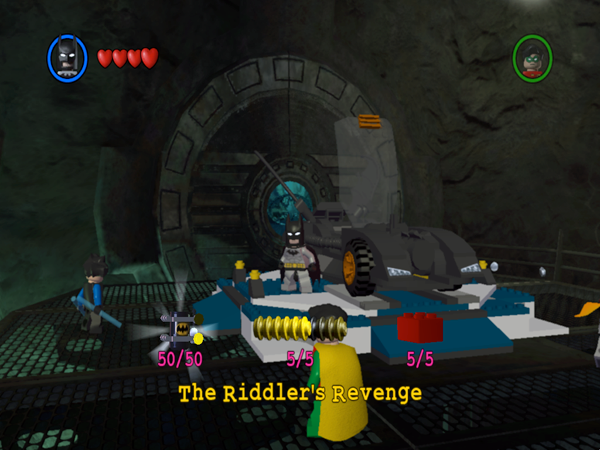 There is so much more depth to LEGO Batman than I can convey in this review, I feel like I am cheating by not telling you all the great stuff in the game. But I don’t want to spoil too much, it’s up to you to discover it all. 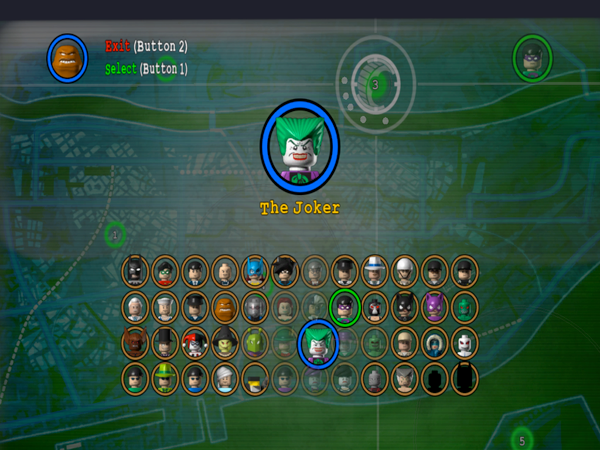 For me, LEGO Batman is an almost perfect game. The controls are tight and accurate, the graphics are beautiful, the sound quality in pitch-perfect, and it’s a fun game to pick up and play for either fifteen minutes or two hours. On a side note, I purchased a wired Xbox 360 USB controller a few years ago to use when playing video games on my Mac. (Or the PC via Bootcamp.) LEGO Batman is so well done, I didn’t have to do anything at all to use this controller. I just plugged it in and started playing LEGO Batman with it, no problems at all. It is a fantastic game controller, one of the all-time best, and I highly recommend it. 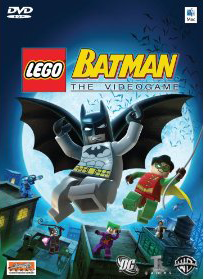 While you can play LEGO Batman with the mouse and keyboard, as most of you will, it is actually much easier and more enjoyable to play it via a controller, probably due to the fact that it is a video game console game originally. It’s just more intuitive to play with a controller. All in all, Feral deserves a hearty “Thank you!” for making (porting) such a great game for Macintosh users. It runs on almost any Intel Mac, including the Macbooks and Mac mini’s with the GMA graphics cards! Is it scary that Batman has no pupils?